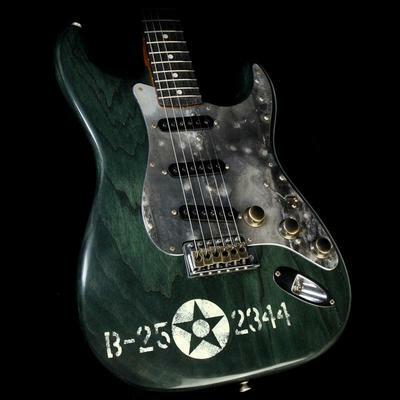 One of the most powerful images from World War II is the iconic B-25 Mitchell bomber. 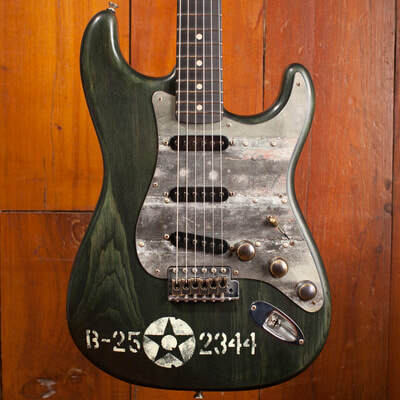 Seeing plenty of action in the Pacific Theatre, the B-25 was known for is durability, power and versatility— approximately 45 of those planes remain airworthy today. 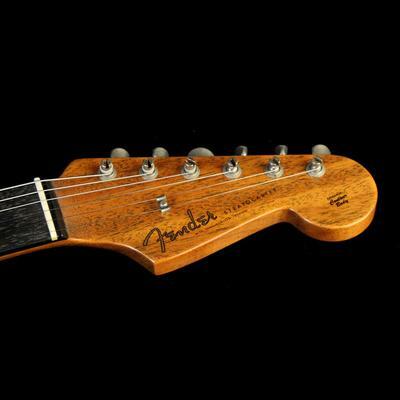 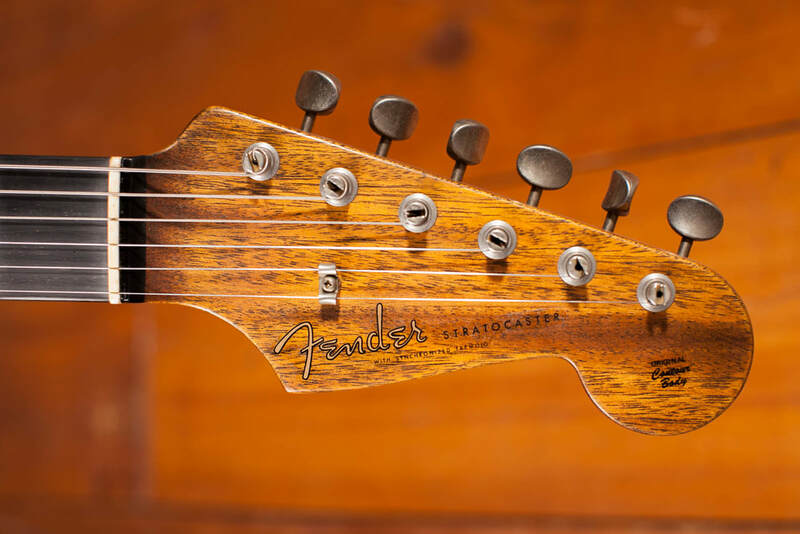 The venerable Stratocaster is also world-famous for its power, versatility and durability—an association that inspired Fender Custom Shop Master Builder Yuriy Shishkov to create the incredible Pacific Battle Stratocaster. 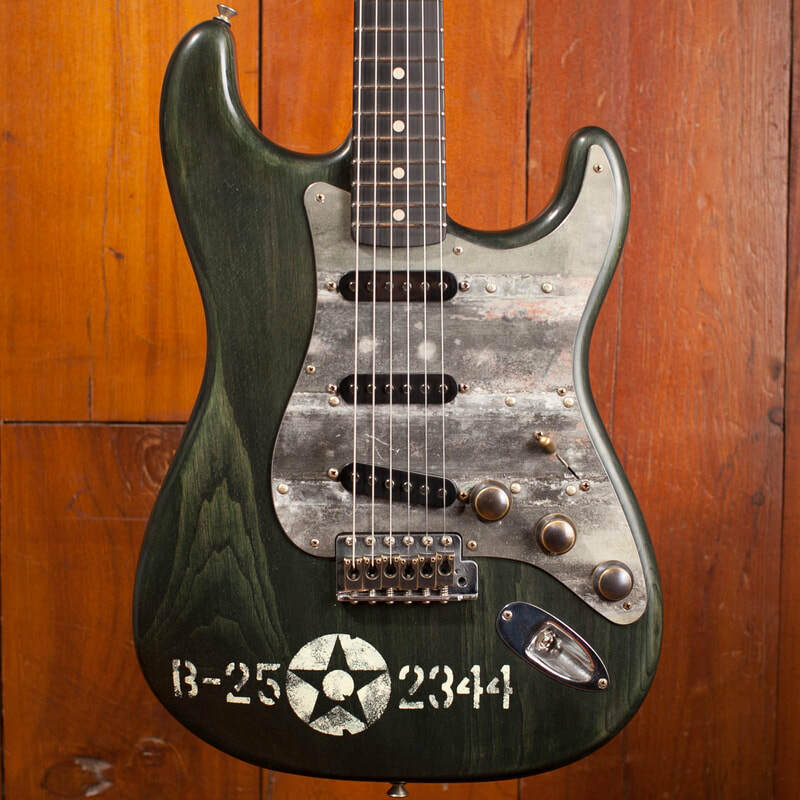 Collectors, history buffs and players looking for the amazing craftsmanship of a Masterbuilt guitar will love the Pacific Battle Strat. 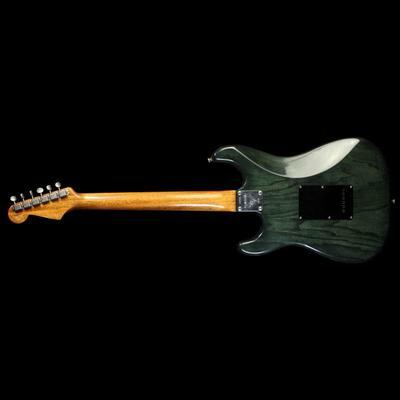 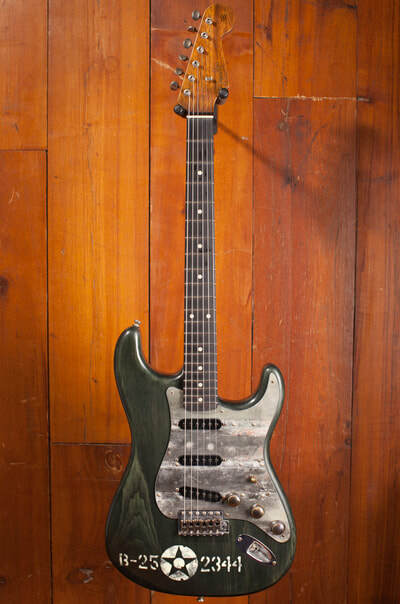 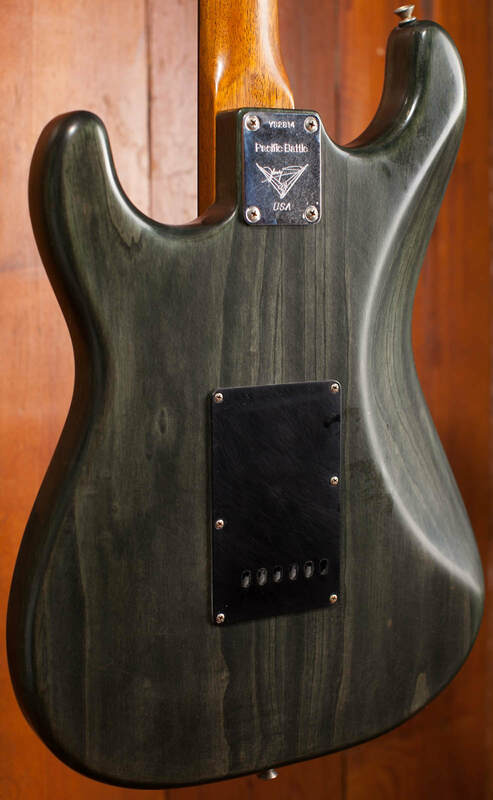 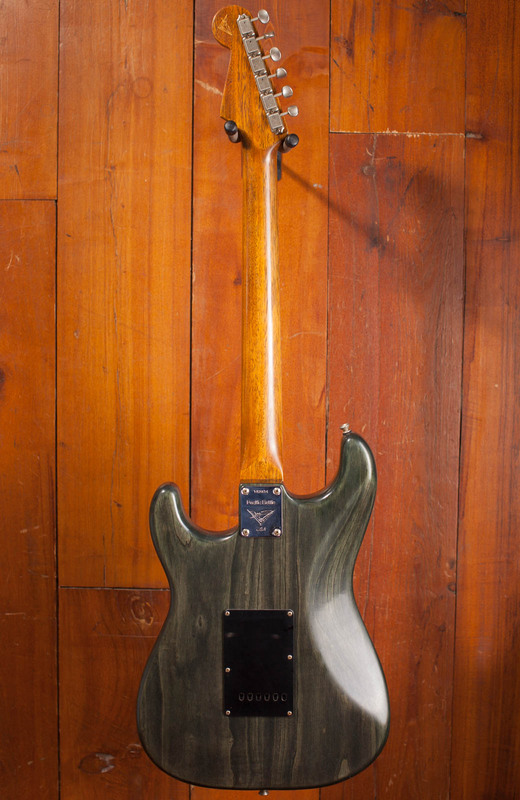 Its two-piece select ash body purrs with warm tone and rich sustain while the lacquer-finished transparent green stain grants a classic, military-style appearance and the tarnished brass knobs and hardware further add to its rugged, war-torn appeal. 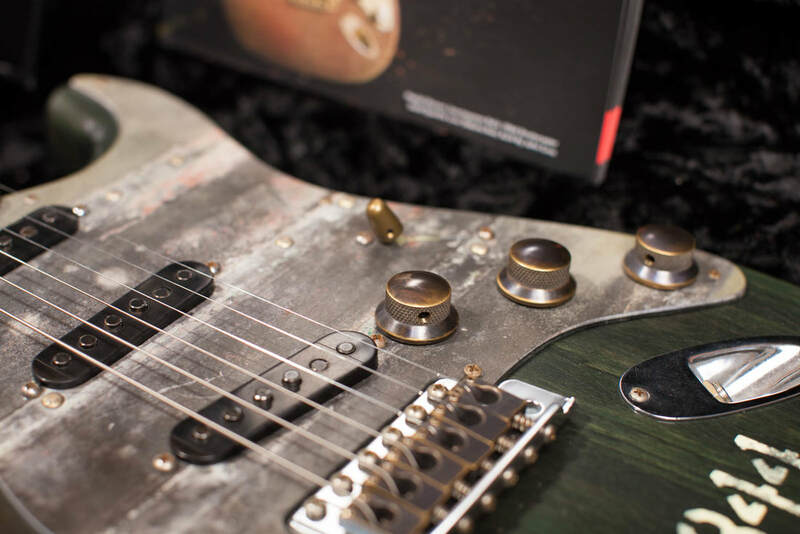 In a touch of unrivaled authenticity, the pickguard is crafted from the aluminum skin of a B-25, so it’s seen a fair bit of action. 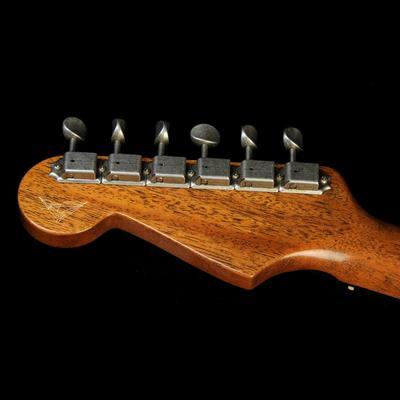 The Pacific Battle Stratocaster also features a smooth-playing, lacquer-finished “C”-shaped mahogany neck and a 9.5”-radius ebony fingerboard with 6105 frets. 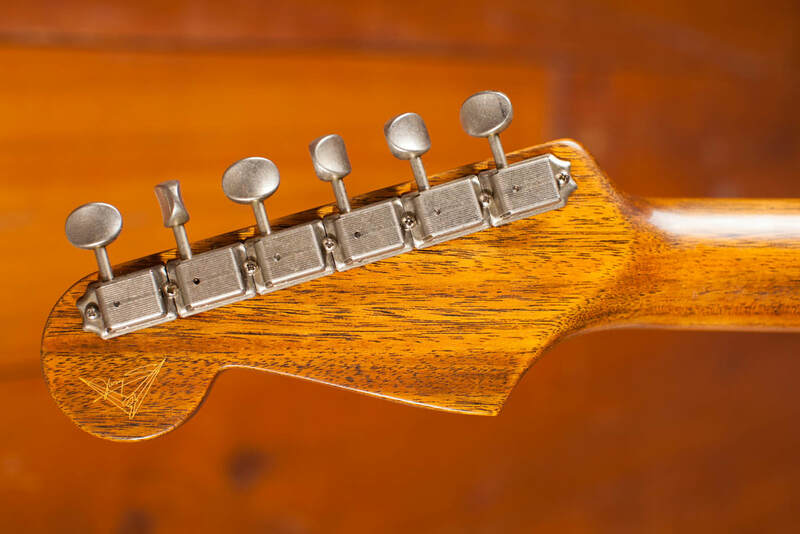 You'll also get plenty of bombastic Strat tone from the trio of hand-wound Custom Shop Fat '50s pickups, including a reverse-wound/reverse-polarity middle pickup for superior hum-cancellation when combined with the bridge or neck pickup. 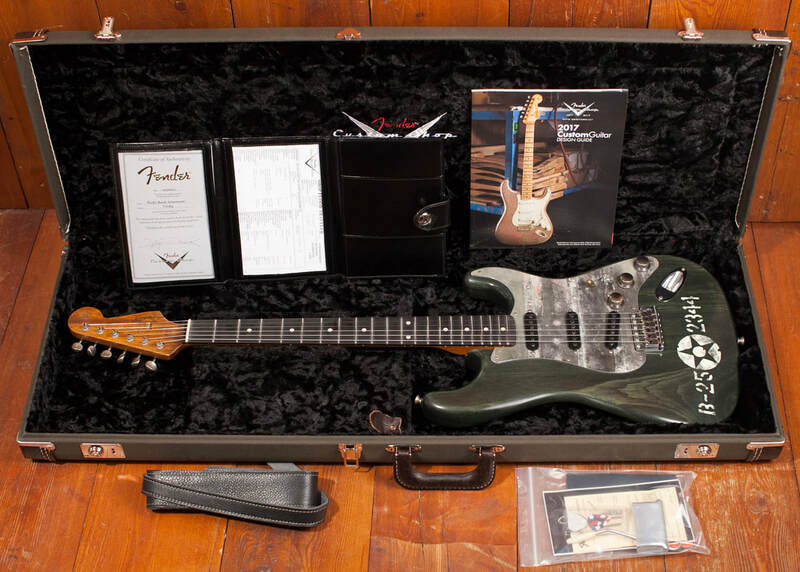 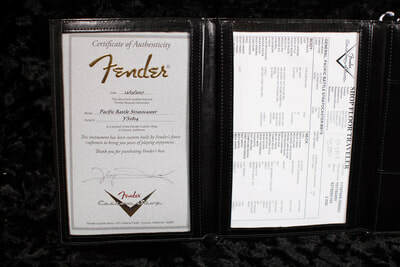 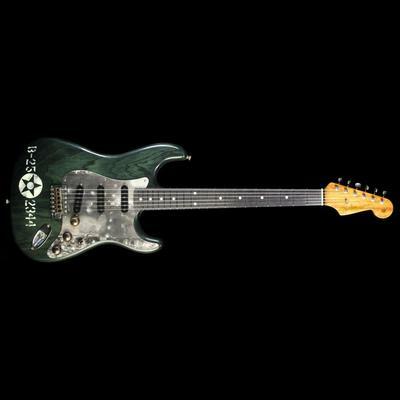 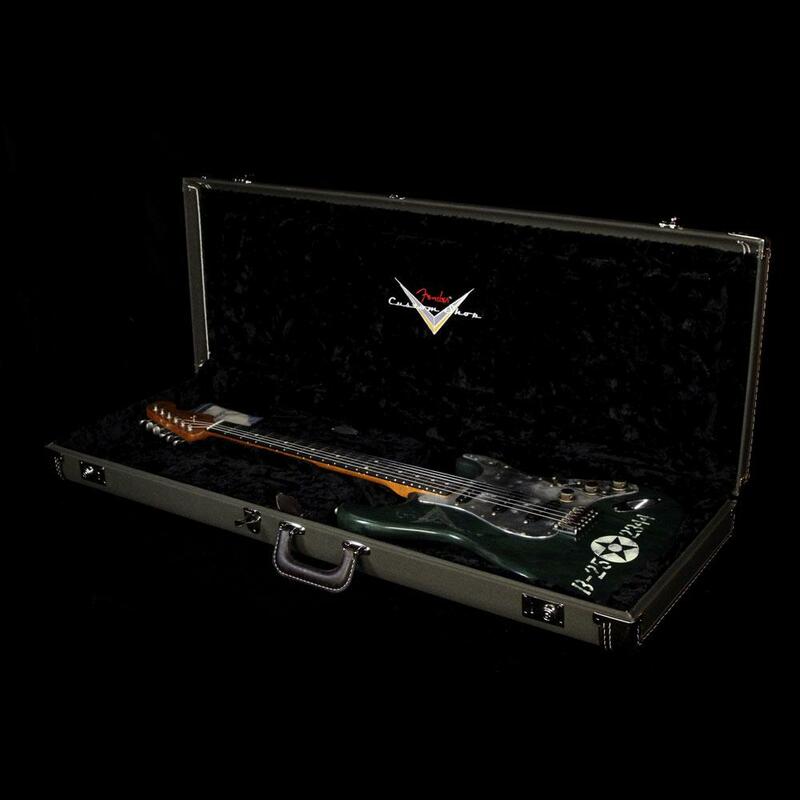 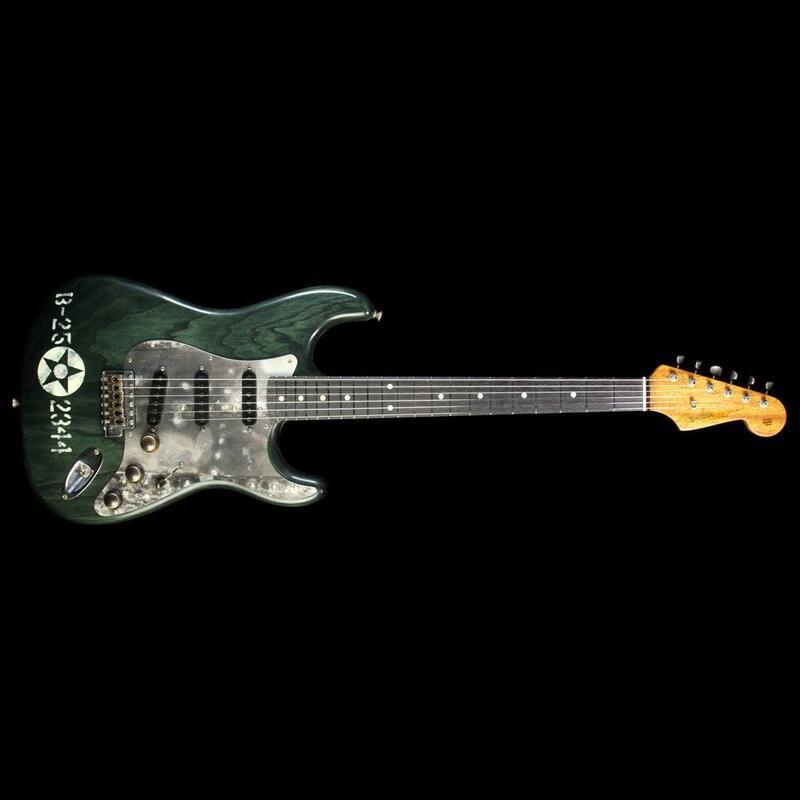 Includes a custom Army-green deluxe hardshell case and a B-25 model plane to proudly display alongside your guitar, completing this battle-ready package.